The ITIL Foundation is an entry-level qualification that is beneficial to anyone looking to expand their technical knowledge, especially those looking to offer IT service management skills. Individuals in IT management positions with ITIL® Foundation certifications earn salaries ranging from $60K-$120K according to PayScale.com. IT training is in high demand, and ITIL® pairs well with many other MicroTrain programs. MicroTrain offers ITIL certified instructors, in-classroom training, and supplemental materials in the form of online videos and practice tests for post-class and pre-exam review. The exam is offered on the last day of class at an additional cost and is covered by our Exam Pass Guarantee. 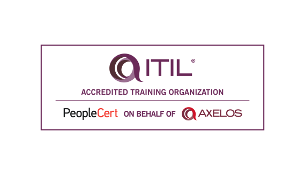 Who benefits from ITIL® training? Microtrain offers a 3-day course to prepare for the ITIL® Foundation certification exam. The Foundation Certificate in IT Service Management demonstrates an understanding of the key terms and concepts for the ten core IT Service Management disciplines. This course outlines the processes of Service Support and Service Delivery, plus the Service Desk function and Security Management within the context of a business-focused IT Service Management approach. ITIL certification exam is given on the last day of class at MicroTrain facility.